Founded in 2012 by TimothyPaul, originally Ephesians 5:25 Ministries was designed to assist men to become better husbands and fathers.? Since its inception, Ephesians 5:25 Ministries has found the need to broaden its services to encompass a wide variety of areas. Please see our list of services which included Temperament Therapy and Testing, Marriage counseling and other counseling services to help us become the people God has called us to be. 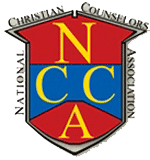 Dr. TimothyPaul and Cindy Bodendorfer are both active members of the N.C.C.A. (National Christian Counselors? Association).